Brian Scudamore (@BrianScudamore) pioneered the industry of professional junk removal with 1-800-GOT-JUNK? 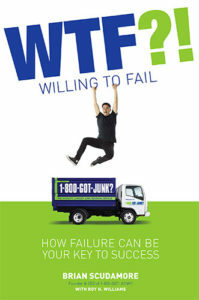 at age 18, scaled that success into three more home-service brands, and is the author of WTF?! (Willing to Fail): How Failure Can Be Your Key to Success. How Brian turned a trash removal business that began with a $700 investment into an international, multimillion dollar service franchise. The $29 gimmick Brian used to prove to his franchise partners they didn’t need to spend big bucks on traditional marketing tactics to get their small business known. Why high school dropout Brian didn’t sell his business and retire in his 20s — even when competitors offered him millions of dollars. Brian’s WTF (willing to fail) philosophy that has allowed him to harness the smaller failures along the way to avoid ultimate catastrophe in the long run (with examples). Practical exercises you can use — for entrepreneurship as well as personal enrichment — to similarly WTF your way forward. We live in the hypercritical age of social media, where everyone shares their highlight reel — and no one shares the pitfalls. Everyone’s afraid to make (or to share) their missteps. But what if mistakes were normalized as part of growing and achieving even more than you believed was possible? Wouldn’t it be amazing if you could turn your internal critic around? On this episode, we talk to Brian Scudamore, author of WTF?! (Willing to Fail): How Failure Can Be Your Key to Success. He tells us how he founded founded 1-800-GOT-JUNK with a beat-up $700 pickup truck at the tender age of 18. The WTF (Willing to Fail) philosophy that we discuss can help you live more courageously, be more resilient, and ultimately drive you toward your own success. It’s what has enabled Brian to bounce back from failure and even find a little gratitude in his biggest flops. Listen, learn, and enjoy! Taking inspiration from the memorable Got Milk? ad campaign, Brian Scudamore decided to re-brand his Rubbish Boys Disposal Service — started with a $700 pickup truck as a way to make money for college — to the punchier (and harder to forget) 1-800-GOT-JUNK. He didn’t see the fact that the phone number was being used by the Department of Transportation in Idaho as much of a deterrence, and in a stroke of luck, he was able to convince an outbound government employee to hand over the number for free. Of course not everything in Brian’s life or business has always gone so perfectly. Plenty of missteps and mistakes — including throwing in his lot with incompatible business partners and coming perilously close to bankruptcy — have instilled him with a WTF (willing to fail) philosophy that has served him well so far. Brian says this allows him to be grateful for the lessons learned from the mistake and reminds him that even though the situation may seem dire now, everything will be okay. 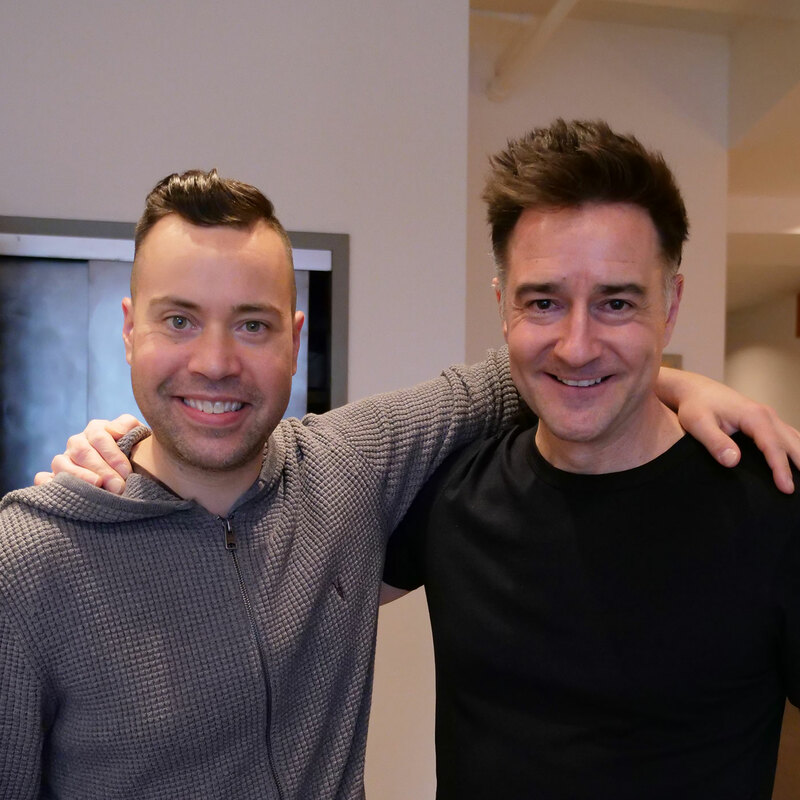 Listen to this episode in its entirety to learn more about Brian’s $29 gimmick that beat the expensive marketing tactics his franchise partners wanted to use, why this high school dropout didn’t sell his business for millions of dollars to his competitors when he had an easy chance, big failures Brian endured and overcame using his WTF (willing to fail) philosophy, why no help is ultimately better than the wrong help, how Brian shifted his company’s culture from a sinkhole of toxicity to a wellspring of abundant enthusiasm, and much more. Click here to thank Brian Scudamore at Twitter!